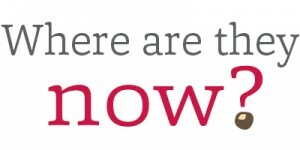 During 2016, we featured a small number of our alumni in our “Where are they now?” series. These alums of the Department of Agricultural Communication, Education, and Leadership, although many of them graduated when the department was known as the Department of Human and Community Resource Development, shared their current roles in the communication, education, and leadership and agricultural industries, as well as how their education prepared them for their career. They were also gracious enough to share a few words of advice! Thank you to the following alums for sharing your story! Are you an alum and would be interested in having your story shared on the ACEL blog? Send an email to acel@osu.edu. While an undergrad in agricultural communication, Matt Reese worked for several years as the photo editor for the “Lantern.” With a position at The Ohio State University’s student-published newspaper, Matt was allowed the opportunity to be an “agvocate” before that was ever a thing. 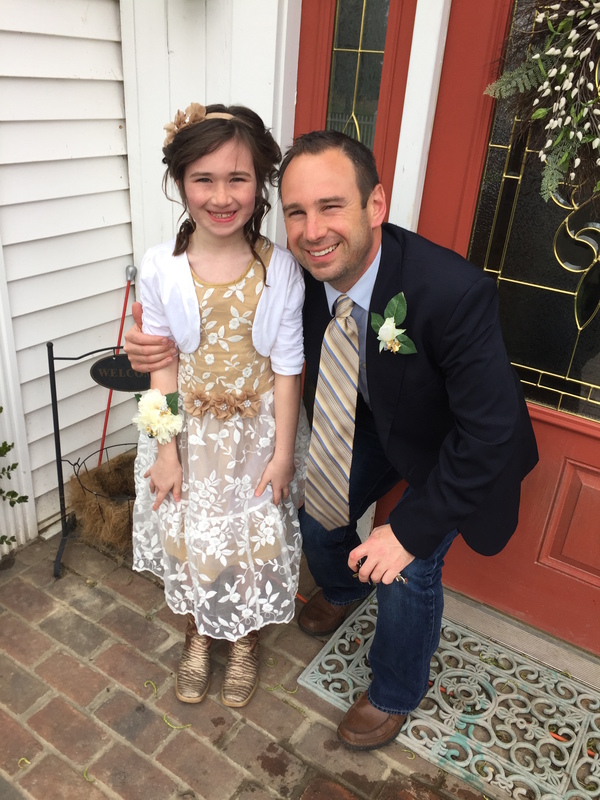 After spending his years in college spreading awareness of agriculture through both his relationships at the “Lantern” and performing with the OSU Men’s Glee Club, Matt graduated in 1999 only to then earn his master’s in agricultural education. With one quarter left of classes before graduation, Matt landed his dream job as the assistant editor of “Ohio’s Country Journal.” Matt now serves as the editor. Matt divulged that the job has allowed him to develop a huge number of friendships and professional relationship with some of the best people in the world — Ohio’s farmers and agribusiness professionals. As the editor, Matt oversees the editorial content of “Ohio’s Country Journal,” as well as posting daily content on their website. With a small staff, Matt says that he does a little bit of everything, including video work and occasional radio interviews, although he mostly focuses his energy and attention on writing, content development, and photography. Figure out what you are good at and what you are not so good at, then capitalize on your strengths and strengthen your weaknesses. Success is a combination of maximizing your strengths, but also understanding what you are not so good at and either improving or relying on others in those areas. Be extremely careful about feeling like you deserve anything. You don’t. No one owes you anything. The second you start to feel entitled to something is the second that you need to realize that you don’t deserve it. Think about that and remember it — that applies to EVERYTHING. Do not make decisions based upon fear, selfishness or a feeling of entitlement, but instead upon doing what is right by God and others. Doing this is not easy, but extremely worthwhile long term (even if it doesn’t seem like it short term). Celebrate and enjoy what you have relentlessly instead of wishing for what you do not have. But, at the same time, relentlessly set goals to make yourself better at serving others. Get off your phone and learn how to read people and interact face to face. This will give you an automatic advantage in nearly every professional interpersonal situation. Learn to manage your time, your actions, and your words based on a clear set of personal priorities. My suggested priorities in order: God, spouse, children, extended family, work, everything else, self. Take care of your health through moderation and exercise. The days you do not break a sweat should be a rarity. Don’t drink too much pop. Being kind and forgiving others is really a favor to yourself. Network and make friends everywhere you go and in everything you do. Every career is ultimately about people. Rose Vagedes, of Coldwater, was named Outstanding Freshman. Vagedes serves as chairman of the banquet committee, where she plans all aspects of the annual AES banquet. She is a sustainable plant systems major with a specialization in agronomy. Kayla Walls was selected as the Outstanding Sophomore. Walls, an agriscience education major, serves as programming chair for AES and is responsible for planning club activities and events. Kayla is from Mendon. Blake Campbell, of Waterford, was chosen as the Outstanding Junior. Campbell will serve as president for AES during 2017 and is an agriscience education major. Justin Feltz, of Versailles, was the recipient of Outstanding Senior and the Scarlet Award. He has served as CFAES Student Council representative, treasurer, vice-president and education outreach committee chair. The Scarlet Award is presented to an outstanding club member who does not major in agriscience education. Feltz is majoring in animal science. Frances Nicol, of Plain City, was named the recipient of the Gray Award, which recognizes a member’s involvement and dedication to the student organization. She has served as the 2016 president and will serve as the McCaslin chair for 2017. Logan Heiby, an agriscience education major from Coldwater, was named the Outstanding Committee Chair. Logan served as the banquet committee chair, which planned the annual banquet attended by AES members, parents, faculty, and staff. 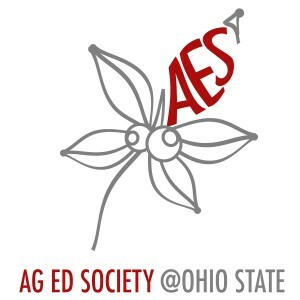 Agricultural Education Society is a student organization at The Ohio State University. Founded in 1882, it is the oldest continuously active undergraduate student organization. The organization promotes food, agricultural, and environmental sciences, stimulates interest in the profession of agricultural education and in leadership, acquaints members with the program of agricultural education, and provides fellowship opportunities. AES works with other youth organizations and develops professional competencies to improve the abilities of agricultural education majors. Although Jenny Wensink now calls herself a Falcon, as serves as a faculty member at Bowling Green State University, she will always be a Buckeye. 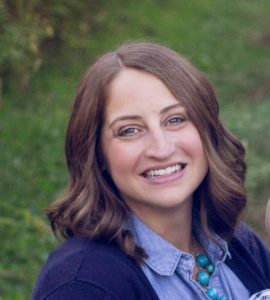 Graduating from Ohio State in 2006 with a degree in agricultural communication, Jenny started her career working as a sales and marketing communications specialist for Select Sires Inc., writing press releases and working on design and content for their customer newsletter. Three years later in 2010, Jenny came back to Ohio State and the College of Food, Agricultural, and Environmental Sciences where she served the college in a fundraising capacity. She managed a portfolio of alumni and friends who supported Ohio State through gifts of $1,000 up to $250,000. A year later, in 2011, Jenny transitioned into a similar role at Bowling Green State University. Starting off as assistant director of annual giving, Jenny planned reunion events and fundraising efforts while also managing a portfolio of lead annual donors. Five years later and Jenny is still at BGSU, although she is now in the position of director of annual giving. This position has Jenny managing the overall annual giving strategy for the 170,000 living BGSU alumni. This includes managing direct mail, their phon-a-thon, and online giving channels, while also coordinating the faculty and staff giving campaign, and overseeing stewardship of annual giving programs. Although her present role doesn’t require her to be involved in the agricultural industry, Jenny says that her degree certainly prepared her well for her career. In addition to being the director of annual giving at BGSU, Jenny is currently working toward a master’s degree in public administration and should finish in 2017. Jenny’s husband Mark is also a CFAES grad and is an equipment salesman for Wood County Implement, a John Deere dealership. The Wensinks have two children – Emery is 5 and Beau is 1. Outside of family time, Jenny loves CrossFit, running, reading, and of course watching college football-Go Bucks! 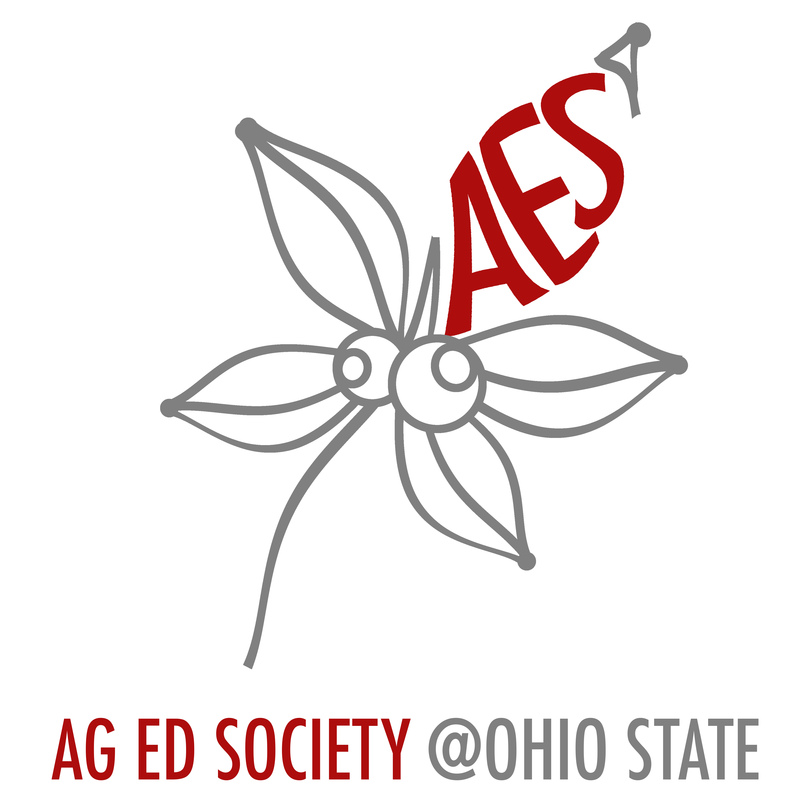 The Agricultural Education Society at Ohio State held their end of year banquet and elected a new executive team. The members of the team officer team include Blake Campbell, Abby Motter, Cody McClain, Chrissy Balint, Katherine Bell, and Courtney Fulton. Blake Campbell, a senior majoring in agriscience education from Waterford was named as president. As president, Campbell will be responsible for leading the club as it participates in many events such as education and outreach, Back to School Bash, Adopt-A-Highway, and BuckeyeThon. Abby Motter, a sophomore majoring in agriscience education and Spanish from Mansfield, will serve the role of Vice President. During her time as Vice President, Motter will be in charge of overseeing standing committees, assisting the president, coordinating recruitment efforts, and maintaining the Program of Activities. Cody McClain, a sophomore studying agriscience education from Nevada, was selected for the position of treasure, where he will be responsible for the club’s budget, books, and financial reports. Chrissy Balint, a junior majoring in agriscience education from Huron, will serve her second term as secretary. Balint will be head communicator by sending weekly emails to members of the club, create agendas, take notes for meetings, create external resources. Katherine Bell, a junior studying agriscience education from Liberty Center, was selected as the reporter. As reporter, she will work with the club’s social media accounts with the goal of communicating to the public about the mission and activities of the student organization. She will also compose news releases and articles about club activities. Courtney Fulton, a junior studying agriscience education from Kenton, was selected for the position of CFAES Student Council representative. “We are very excited to see where this team will lead AES. They have some fresh ideas and the drive to continue to make AES a great student organization on campus,” said Caitlyn Black, graduate student agricultural and extension education and club advisor. Each officer will serve a one year term from January thru December 2017. 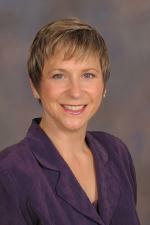 Dr. Kristina Boone has been named the new director for Ohio State ATI. Boone completed her masters and doctoral degrees in the Department of Agricultural Communication, Education, and Leadership, graduating in 1991 and 1994 respectively. Dr. Lonnie King, interim VP for Agricultural Administration and Dean for the College of Food, Agricultural, and Environmental Sciences, released the following statement this morning about Dr. Boone’s appointment. I am pleased to announce Kristina M. Boone, PhD, has accepted the director position at Ohio State ATI effective April 1, 2017. Most recently, Dr. Boone was a professor and department head in the College of Agriculture at Kansas State University. Her department supported academic programs at the bachelor’s and master’s level in Agricultural Education and Agricultural Communication. The department also directed the communications on behalf of the College of Agriculture, Extension, and Agricultural Experiment Station. She also was the director of the interdisciplinary secondary major in Global Food Systems Leadership, and as part of a team, developed an interdisciplinary doctoral program in Leadership Communication. Prior to her 21-year career in Communications and Agricultural Education, Dr. Boone was a watershed extension agent with Ohio State University Extension and co-led a water education program at Ohio State during her graduate program. Dr. Boone received her bachelor’s degree in agricultural communication at Texas Tech. Her master’s and Ph.D. are from The Ohio State University in agricultural communication and extension education, respectively. As Ohio State ATI Director, Dr. Boone is responsible for managing the administrative, human, and financial resources for Ohio State ATI. She will provide leadership for all programmatic and administrative functions including on campus and emerging e-Learning instruction, research, service, engagement and marketing, and student services and recruitment. Ohio State ATI, located in Wooster, is an associate degree-granting institute within CFAES where students participate in a curriculum that includes general and basic studies, experiential learning, and a paid industry internship. Ohio State ATI is the largest institution of its kind in the country, offering 26 programs of study. I also want to extend my appreciation to Thom Janini, PhD, for serving as interim director. Thom’s leadership in this interim appointment provided continued support for the faculty, staff and students at Ohio State ATI. Look for opportunities in April to welcome Dr. Kristina Boone to CFAES and Ohio State ATI. Congratulations Dr. Boone! We look forward to having you return to the College of Food, Agricultural, and Environmental Sciences! The Department of Agricultural Communication, Education, and Leadership had 14 students participate in the Autumn Commencement on Sunday, December 18, 2016. The event was held at the Jerome Schottenstein Center. In total, 2, 577 students received his/her bachelors degree, 470 masters degrees, 12 professionals and 214 doctoral degrees. Timothy Gerber, professor of music and secretary of the University Senate was the speaker. Congratulations to our the newest alumni of the Department of Agricultural Communication, Education, and Leadership! “Experience OSU for a Day Hosts & Spring Semester Schedules Needed! Do you enjoy sharing your passion for Ohio State with others? Would you be willing to show high school students what it is like to be a Buckeye? The “Experience OSU for a Day” (EOFD) Program allows prospective students to get a feel for what college is really like. These students visit CFAES frequently, and we are in need of volunteers to show these students around campus when they come to visit. If you were a host last semester, we need your new schedule!EOFD Hosts volunteer to have prospective high school students shadow them from 9:30 a.m. until 1 p.m. for 1-2 weekdays each semester. Hosting is very flexible and can be adjusted to fit your schedule. Hosts are encouraged to take their shadow(s) to class, the Oval, the Union, a room in Nosker House, and to eat lunch at Parker Dairy Store (lunch is free for the host and shadow). Hosting is open to any CFAES student who has completed at least one semester of classes at the Columbus campus. To sign up, simply fill out the form at http://go.osu.edu/eofd-hosts and email it to Abby Motter at motter.109s@osu.edu. Feel free to contact Abby if you have questions. If you’re an AAEA member, age 35 or younger, with a desire to witness South African agriculture in April 2017 – plus participate in an amazing young leader boot camp – apply by December 16 for a chance to represent the U.S. and possibly win a 1,000 Euro scholarship. The 10 recipients of the 2017 IFAJ-Alltech Young Leader Award will participate in the unique Boot Camp training program from March 29 to April 1, 2017, near Pretoria, South Africa. The program includes leadership training, discussions and exercises with journalists from around the world, and a day of farm visits and professional skill development. SPHINX Senior Class Honorary is now accepting applications for the prestigious membership of their next class, the 111th class. As the oldest student honorary at Ohio State, SPHINX selection is based on scholarship, leadership, and direct service to the University. Twenty-four diverse and unique individuals will be linked into SPHINX in order to share their contributions, create friendship, and uphold the traditions of commitment and excellence at The Ohio State University. Each applicant is required to hold a 3.00 GPA minimum, completed 60 semester credit hours, and plan to graduate any semester after Summer 2018. Applicants should be mindful that Mortar Board is also a senior class honorary; individuals are permitted to apply to only one of the two honoraries. The application deadline is January 22 at 5pm. For questions regarding membership or applications, contact SPHINX Sergeant-At-Arms, Sierra Jepsen at jepsen.14@osu.edu or at ohiostatesphinx111@gmail.com. Chimes Junior Class Honorary is one of the two junior class honoraries on Ohio State’s campus. If you are looking for an opportunity to be a part of an organization that provides service to a local philanthropy around Columbus as well as builds connections with students across campus with diverse backgrounds and fields of study, this is for you! We are looking for 35 students that will be able to carry Chimes through another successful year as they embark onto their junior year of college. The application to be a part of this wonderful student organization is open to all sophomores at Ohio State with a GPA of 3.00 or above! Applications will remain open until Sunday, January 22. The application can be found at http://chimes.org.ohio-state.edu/. If you have any questions whatsoever, please feel free to reach out to us at chimesjuniorhonorary.osu@gmail.com. You can also find us on our Facebook Page: Chimes Junior Class Honorary. We look forward to reading your applications! 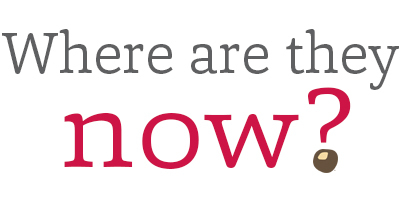 More information about all of our programs is available at https://students.cfaes.ohio-state.edu/node/969. Contact Kelly Newlon or Difei Shen for more information. Current freshmen and sophomore undergraduate students who demonstrate exemplary academic achievement and leadership potential are encouraged to apply. The application deadline is March 1, 2017. To learn more, please visit the Cargill Global Scholars website. Faculty, staff, and graduate students from the Department of Agricultural Communication, Education, and Leadership came together to celebrate the end of Autumn Semester and the upcoming holidays. During the event, many sported their favorite Christmas attire and enjoyed fellowship, food and many laughs! Department faculty, staff and graduate students celebrate the end of a semester and the holidays! 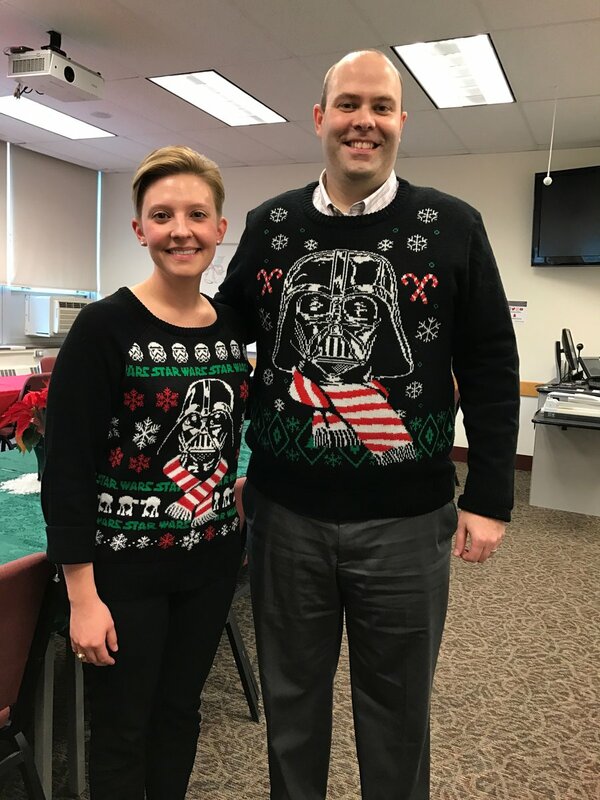 Dr. Specht and Dr. Kitchel both arrived in their favorite Christmas sweaters – Star Wars! We wish our students a relaxing winter break and can’t wait to see you when you return to campus in January!